Over the last year, God has been moving in my life through a difficult situation. My heart, attitude, and mind is in the process of making some major adjustments. He is changing me through people, circumstances, books, His Word, and the Holy Spirit. I first started learning about God's perspective on money management over six years ago through the Word, Crown Financial, and Dave Ramsey. During this time period, becoming debt free and having financial life margins was my primary goal. Once that goal was achieved, I assumed that the next worthy goal would be to pursue at least a million dollar net worth by doing right things with the money God has entrusted to me. 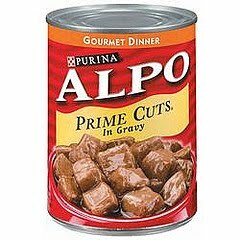 In today's economic climate, you have to be concerned about your retirement so you're not eating Alpo when you turn 65, right? If you're truly a winner in your personal finances, then you go after this great achievement, correct? When I first started this blog, I thought by and large that I had personal finances and life in general all figured out. I believed through this blog that I could pass on some wisdom that I have learned in the last several years, and then "life happened." Life threw me a couple of unexpected curve balls, and now my life will be forever altered as a result. My response: uh, Lord, this wasn't the plan. Why is this happening to me? So now, I really don't concern myself as much about the future, at least my earthly future. Do I think about it? Do I try to do some prudent planning? Of course I do, but it doesn't really consume my thoughts as maybe it once did. When you're traveling down the highway of life and the wheels suddenly just fly off your car, it makes you stop and reevaluate what's truly important. My conclusion: pursue God's Kingdom no matter what. God is God. I'm not. I must take on the attitude of Job, "The Lord giveth and the Lord taketh away. Blessed be the name the Lord." An intimate relationship with God takes priority over everything else. Our mission in life should be building God's Kingdom. Invest your time, talent, and treasure with reckless abandon. Pursue right actions even though other people are not. We will all be held accountable for our actions here on earth. Maintain an attitude of generosity. There's something about giving back to God and others that uplifts your spirit and takes the focus off your own problems. Use sound Biblical wisdom in your personal finances, and when you are faced with financial difficulties, remember that God has promised to take care of our needs (Luke 12:6-8). Fix what you can fix; leave the rest in God's hands. Obtaining a million dollar net worth is an awesome goal, but in light of eternity, is it really that important? The money God has blessed you with will bring greater blessing by investing it into eternity. How about you? Are you more concerned with God's Kingdom or your net worth? Awesome article. We sound like we are on much the same path. God is refining us as well, and we are trusting during these unsettled times. Thanks so much for sharing. Thanks, Mari. I appreciate your encouraging words. I know exactly what you mean. You might want to check out the book the lead pastor at my church just published (don't worry, this isn't a money maker for him b/c all proceeds are going to urgent spiritual and physical need around the world). The Book is called Radical: Taking back your Faith from the American Dream. (http://www.radicalthebook.com/) He is really leading our church in an awesome direction and really putting things into perspective for us. You can download the first chapter of the book for free from the website if you want to check it out. Brian - thanks for the info on the book. I'll check it out.